You are here : Home » Unlabelled » Who is the Rounderz? Dynamic Duo on their Grind! 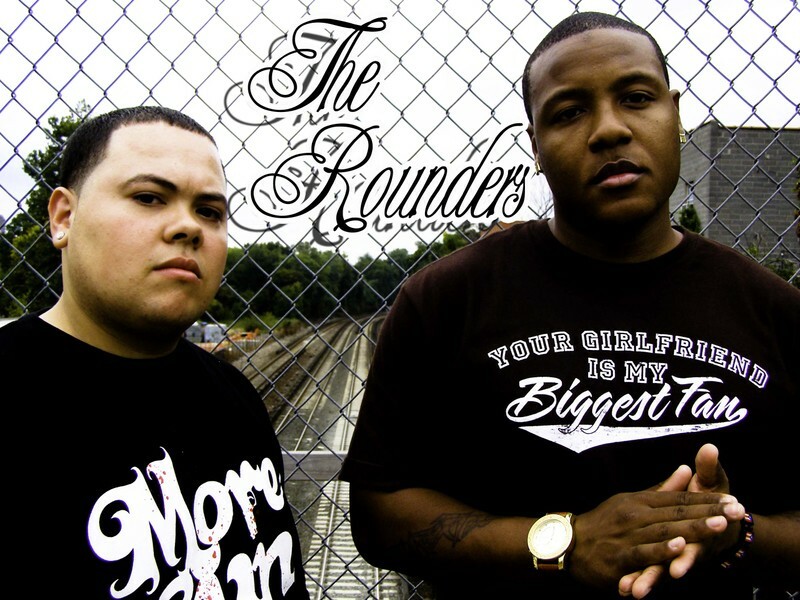 Who is the Rounderz? Dynamic Duo on their Grind! 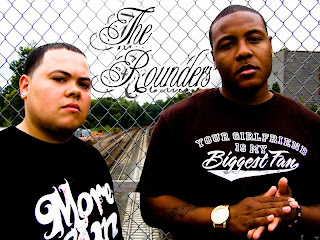 The name, The Rounderz, where did it come from? The name is inspired by the motion picture starring Matt Damon and Edward Norton. A Rounder is a dissolute person, someone who is morally unrestrained, someone with deemed vices. In our case music is our vice. When you were little kids, what did you say you wanted to be when you grew up? DoughBoy: I wanted to be an actor. I got cast as the lead in a few school plays and really enjoyed it. Ly:As far as I can remember I've always wanted to be a Rap Artist . We have a genuine passion and love for Hip Hop , if given the opportunity we definitely feel we can place ourselves amongst the elite. The music speaks for it's self there's no denying we have what it takes. Who are some producers and singers in the industry now that you would like to work with later on? We would love to work with Kanye West, Lil Wayne, Ryan Leslie,Alicia Keys and Eminem as far as artist go. On the production side it would be an honor to work with Timbaland, The Neptunes, DJ Premiere, Just Blaze and Swizz Beatz. As of right now it has to be the creative freedom. Picking out beats, Writing, Recording and then Performing of course. We want to maintain that creative freedom in any situation we commit to. We feel we have a nice recipe for good music and would like to keep it that way. Well we just dropped the mixtape/album "YouGottaLuvIt" hosted by DJ iLL Will and the team as a whole collective(Regulator Music Group) just released a mixtape/album called "Super8". We have "YouGottaLuvIt" The Prequel prepped and ready for release so we basically want to maintain this momentum and continue to generate a buzz this year and beyond. if there was one piece of advice you would give someone else wanting to start in the music career, what would you say? 1st and foremost educate yourself on the music business, secondly try and keep your finger on the pulse at all times. The landscape in music changes every so often and you have to be ready for the transition. So, what are your top 3 songs in your ipod? When were not vibing to our music... We have to say "I'm On One" (Drake,Lil Wayne and Rick Ross), "Hold You Down" (Jadakiss) and 6'7 (Lil Wayne feat. Cory Gunz) just to name a few. DoughBoy: I have to say my 16 from "This Is Me" It's a direct reflection of where I'm at in my life right now and it's a heartfelt song altogether. Ly: I'm going with my 16 from "Let Her Know" My favorite song off the mixtape "YouGottaLoveIt" and I feel in my heart it's a hit song. DoughBoy: I tend to just make my way through the crowd and see what the energy is like... Soak it all in . Ly: I'm more reserved, I get really focused before I get up on stage and let all hang out. Ly: My Mom may she Rest In Peace for molding me into the man I am today, Friends, Family and The RMG gang. Who were your greatest influences musically? The Notorious BIG, Jay-Z, Outkast, Nas, Big Pun, Diddy, The Dogg Pound. We most definitely,100% scribe all of our music. say your career takes off & you make it mainstream, what do you think, if anything, you will changeabout yourself or everyday life? DoughBoy: Nothing with the exception of getting up and going to work everyday. Music is hard work but if you do what you love you'll never work a day in your life. Ly: I agree with D.B. my focus would be on maintaining whatever fame and fortune that would come of this. At the end of it all we would hope our music touches our fans in a positive way. We make feel good music for the masses and it comes from the heart. We hope it's inspiring because it has genuine substance and it's all authentic. DoughBoy: "Live Big, Die Enormous" basically live it like it's your 1st day and your last night. Ly: Listen to my last few bars on "How Bad Do You Want It" that about sums it up. in conclusion, i just gotta ask, describe yourself in 3 words.